Even within the Jewish community, there is a lack of awareness of what happened to Middle Eastern or Mizrachi Jewry. To correct this, two years ago the Israeli government established November 30 as the day to mark the departure and expulsion of Jews from Arab countries and Iran. November 30 was chosen because it is the day after the 29th of November 1947, when the U.N. Adopted the partition plan, which the Jews accepted but the Arabs rejected. From that day on, many communities of Jews in Arab countries began to feel the pressure and hostility from their Arab and Persian neighbors and as a result were forced to leave their countries, in most cases with literally nothing but the clothes on their back. 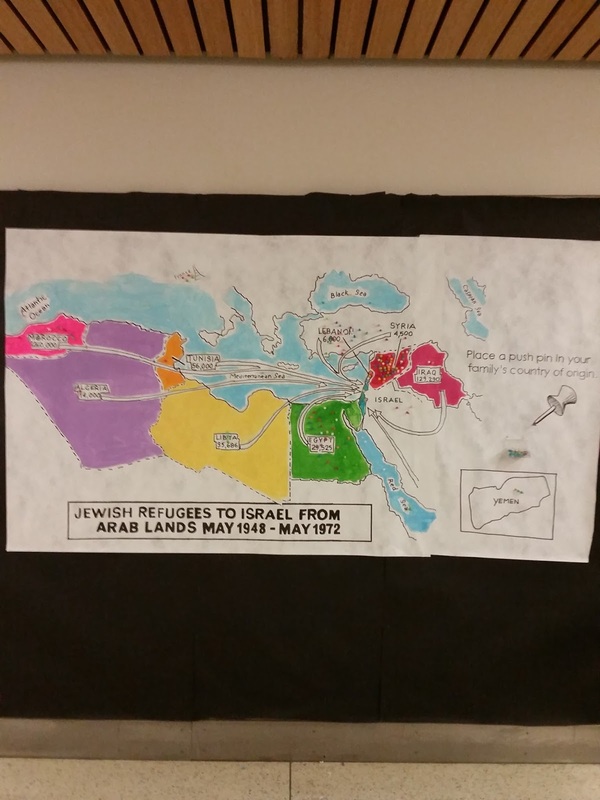 Many of the refugees went to Israel, others to Europe and the United States, where they had to rebuild their lives and often under difficult conditions. Here At the Yeshivah of Flatbush, many of us are of Mizrachi descent. The story of the forgotten refugees is our story. Many of us have great grandparents, grandparents, and even parents who experienced brutal antisemitism and had to leave their homes, their businesses, their entire lives and start again in strange new environments. The world may have chosen to forget the 'forgotten refugees', but we do not. Today we acknowledge and commemorate their suffering and their terrible losses. But we also acknowledge and honor their courage and strength in rebuilding their lives so that we, their children, could live in freedom and comfort. 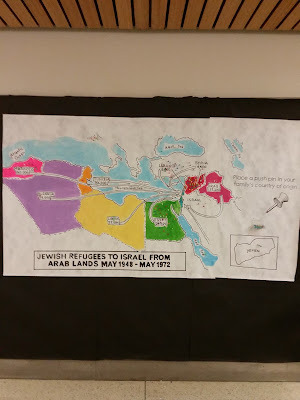 Today we remembered the "forgotten refugees" - the Jews who fled from Arab lands by asking students to place a pushpin on their family's country of origin.